Born in Freising near Munich, Stefan first studied a few semesters of architecture and then learned the cabinetmakers trade, followed by a degree in Industrial design. Whilst studying he worked for Richard Sapper... Read more and for Konstantin Grcic for two years before opening his own office In Munich. 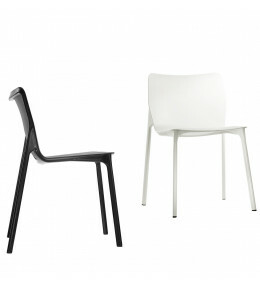 Chassis Chair is a stackable four-legged versatile chair suitable for training, meetings, cafeterias, or dining rooms.